Like the title says I live in central il and I own a 94 tsi awd a 92 gsx and a 04 lancer. 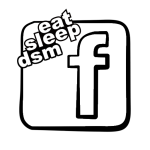 I have been into dsm's for about ten years now. In process of building a motor over the winter aswell as doing a wire tuck and paint. Purpose of this car is to makke it fast enough to get kicked from the track for not having a cage and going to fast and then through everything in the gsx with a cage and as light as I can get it to see what my knowledge can really do with these cars. All work performed in the up and comming build thread will be done 100% by me with the exception of machine shop work (paint, wiring, welding and fab, tunning).